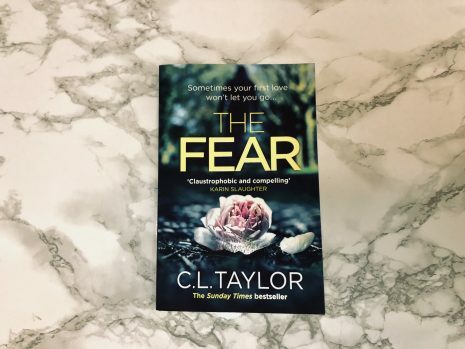 Boooooooooooy if you’ve yet to pick up The Fear by C.L. Taylor, you are in for a TREAT. This book is everything a psychological thriller should be; obsession, twists, gripping and disturbing, and totally unputdownable. We follow a few characters in The Fear, but we mainly follow Lou Wandsworth, who ran away with her teacher, Mike Hughes, when she was fourteen. Now thirty two, Lou finds out that Mike is involved with another teenager, and she’ll do anything to stop history repeating itself. I read this in one sitting and was not disappointed. The Fear has small little twists which all adds up, and it’s so clever, it can’t have been written any better. I’m not a huge fan when each new chapter is a different character, but this jumps around so well it is a genuine treat. I am obsessed with this book. It had me on the edge of my seat the entire way through. I even flicked through to the next chapter with one particular character so I could find out what was going on. Also shouldn’t have read this on the tube because I was internally screaming “nooooo they’re lying”, and I can’t imagine what my face was portraying. I read this book twice before uploading a review, and even though I knew the ending, it was still a pleasure to read. Big shout-out to C.L. Taylor, because it’s very hard to pick up a thriller twice in a short space of time and still be, well, thrilled. It can’t have been written any better. I can’t fault The Fear, there’s no change that could possibly improve it. Bookmark That approved. Be right back, I’m completely sold by Taylor’s writing that I’m going to buy the rest of her books. The Fear, C.L. Taylor, RRP £7.99 (paperback); Waterstones. Loved this review? Want more thriller recommendations? Send me an email on contact@bookmarkthat.co.uk or fill out the form on my home page – lets gossip!